NEWS: BEDMO DISCO RECORDS IS BACK! Bedmo Disco Records is back! 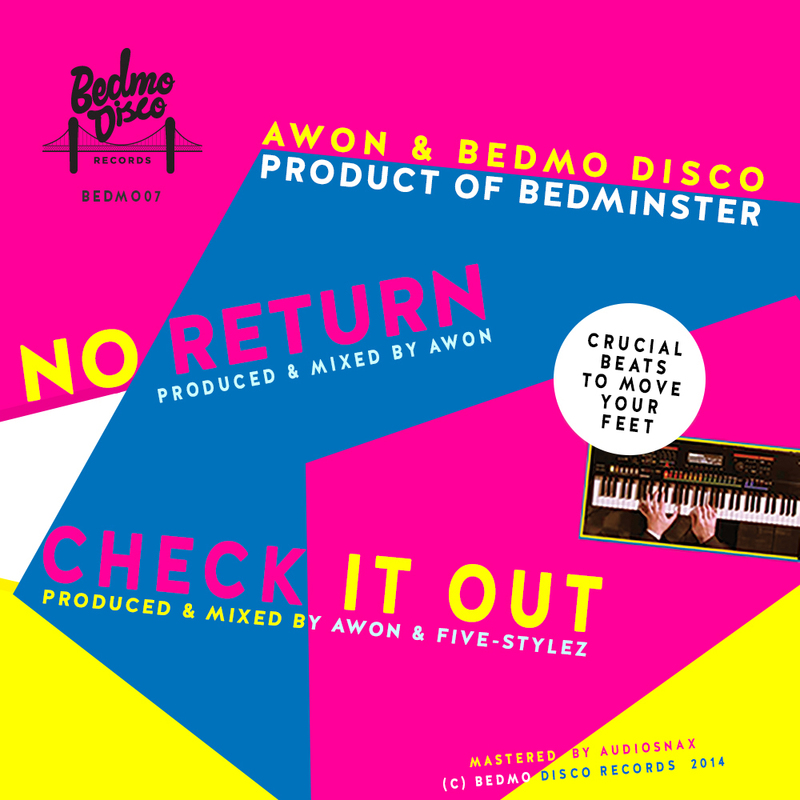 After what seems like an eternity (18 months, in fact), we’re returning to (virtual) record stores with a digital-only blast of boogie goodness from Awon & Bedmo Disco entitled “Product of Bedminster”. Full of delay-laden drum machine beats, colourful analogue synths and tactile, booming synth basslines, both tracks have been staples of our sets for a couple of years. We’re delighted to finally be able to share them with you. Listen to lo-res preview clips below. There’s Awon’s rather smashing “No Return”, and Awon & Bedmo Disco’s “Check It Out”. You can pick up both when the EP makes its way onto digital download stores in April.